Next review Bookvip - Scam!! All rooms (including whether or not Oceanview) are clearly described on the resort offering page on our website. This is a horrible company and I'm extremely disappointed!!! I arrived in cancun yesterday July 20th to what was suppose to an amazing ocean view room, which we were promised by Alejandro who booked our room, but some how got a room facing the Lagoon. When I called to ask about this, which by the way there is no toll free number outside of the states, I was told all they could was review the recorded called and but a rush on it to verify I was given that information and that I would receive a call from a supervisor not later than 5pm. 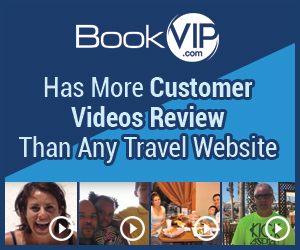 Product or Service Mentioned: Bookvip Room Booking. Review #886028 is a subjective opinion of User886028.